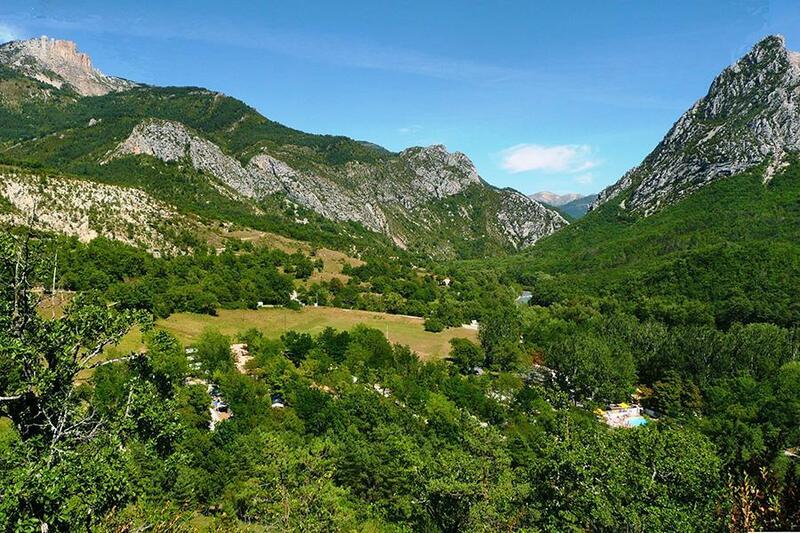 At Domaine Chasteuil Provence in Castellane (Alpes-de-Haute-Provence) camping costs as little as €16,- per night during low season with CampingCard ACSI. At one of the 210 touring pitches you will get a discounted rate during the period 03-05-2019 - 21-06-2019 and 01-09-2019 - 15-09-2019. At this campsite you can not only use your CampingCard ACSI for inexpensive camping, you can also use your ACSI Club ID (as an alternative ID). This family-run campsite is located right at the start of the Gorges du Verdon. Recommended for campers who love tranquillity and the countryside. Lovely site. We were given a pitch right on the river, absolutely beautiful. Scenery and atmosphere was amazing. Facilities were good and staff incredibly helpful. Castellane is a pretty place with plenty of nice restaurants. Would you like to book Domaine Chasteuil Provence or request more information? You can do both using the information below or by visiting the campsite's website. D952 from Castellane towards Gorges du Verdon. After 10 km campsite on the left. CampingCard ACSI will send your information request to "Domaine Chasteuil Provence".